In December 2013, The Journal of the American Veterinary Medical Association (JAVMA) published the most comprehensive multifactorial study of dog bite-related fatalities (DBRFs) completed since the subject was first studied in the 1970s. It is based on investigative techniques not previously employed in dog bite or DBRF studies and identified a significant co-occurrence of multiple potentially preventable factors. The researchers of this study found that in 80% of the cases the breed of the dog(s) could not be reliably identified. In addition, in only 18% of the cases could the researchers determine that the dog was a member of a distinct, recognized breed, as opposed to being mixed-breed. As determined by DNA testing, 25 of the 120 dogs were “true” pit bulls and 95 were not pit bulls. Shelter staff identified 55 out of the 120 were pit bulls, 30 more than identified as pit bulls by DNA testing, an error rate of approximately 33%. Only 20 of the 55 dogs identified as pit bulls by shelter staff were identified as “true” pit bulls by DNA testing, a false positive rate of approximately 25%. Shelter staff missed identifying 5 of the 25 dogs identified as pit bulls by DNA testing, a false negative rate of approximately 4%. In discussing this report, the CDC identified two problems with determining a rate of fatal human attacks by dog breed. The first is that it is nearly impossible to determine how many of one particular breed exist within the United States or within any given geographic area of the United States. The second is that it is also nearly impossible to define any dog by breed based on sight alone. The U.S. National Safety Council has collected data on the likelihood of being killed by a dog of any breed, as well as the likelihood of being killed by other risks. As of 2016, the U.S. National Safety Council showed that the chances of dying as a result of a dog bite are 1 in 112,400. To put that number into perspective, you are twice as likely to die by a hornet, bee, or wasp sting than as a result of a dog bite, a chance of, 1 in 63,225. If sound research and statistical data show that rates of injury and fatality by breed is incredibly unreliable, then why do communities continue to see Breed Discriminatory Legislation (BDL) or Breed Specific Legislation (BSL) as a solution or safety measure? Much of that reason can be attributed to media coverage. 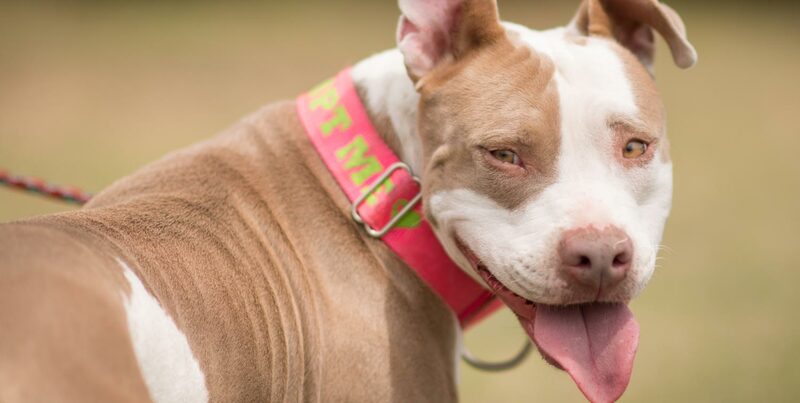 In the past, the media’s disproportionate attention to stories citing pit bull bites and the inaccurate reporting of events involving pit bull type dogs led to multiple states enacting BSL or BDL. Thankfully, the last few years have shown a huge improvement in the way that legislators choose to uphold public safety. In May of 2016, Arizona become the 20th state to enact anti-BSL laws and there are more cities and states following suit. Click here for a more in-depth look at BSL and how the times are changing for the better. So, now that we know breed specific information is unreliable, what can we look at? A good place to start is author and educator, Janis Bradley’s Policy Paper, “Dog Bites: Problems and Solutions“. Bradley joined the NCRC as an academic liaison and to oversee NCRC research projects. The 2014 policy paper builds on the original 2006 edition with additional studies, statistics and examples of effective policies to address the issue of injurious dog bites. It takes an informed, common-sense, realistic look at the incidence and risk factors involved, and makes specific husbandry and policy recommendations to improve public safety and animal well-being. Dogs kept as resident dogs vs. dogs kept as family dogs. Click here for a PDF on the difference between resident dogs and family dogs. The NCRC identified children as the most at risk of being bitten by a dog. Among children, the rate of dog-bite related injuries is highest for those 5 to 9 years old. Children are also more likely than adults to receive medical attention for dog bites. 2) educating people, especially children, about how to interact safely and respectfully with all dogs. Both steps are vital to assisting in dog bite prevention. Click here to see the top 7 things Love-A-Bull believes will put you on the path to responsible dog ownership. The number one thing that we, as an organization, cannot stress enough is the importance of adult supervision whenever there is interaction between children and dogs. All dogs have the potential to bite and it’s up to you as the parent, guardian, or adult to ensure that both dogs and children have safe and respectful interactions with each other. The ASPCA lists a fantastic resource for children and pet parents in regards to dog bite prevention. Enhanced enforcement of leash/dog–at–large laws, with adequate penalties to supplement animal control funding and to ensure the law is taken seriously. Laws that prohibit chaining or tethering, coupled with enhanced enforcement of animal cruelty and fighting laws. Studies have shown that chained dogs are an attractive nuisance to children and others who approach them. Laws that mandate the sterilization of shelter animals and make low–cost sterilization services widely available. To read the ASPCA’s full proposal, click here.